Tire Size w/ 15 in. wheels? I recently purchased 15x6.5 Rota Slipstreams. 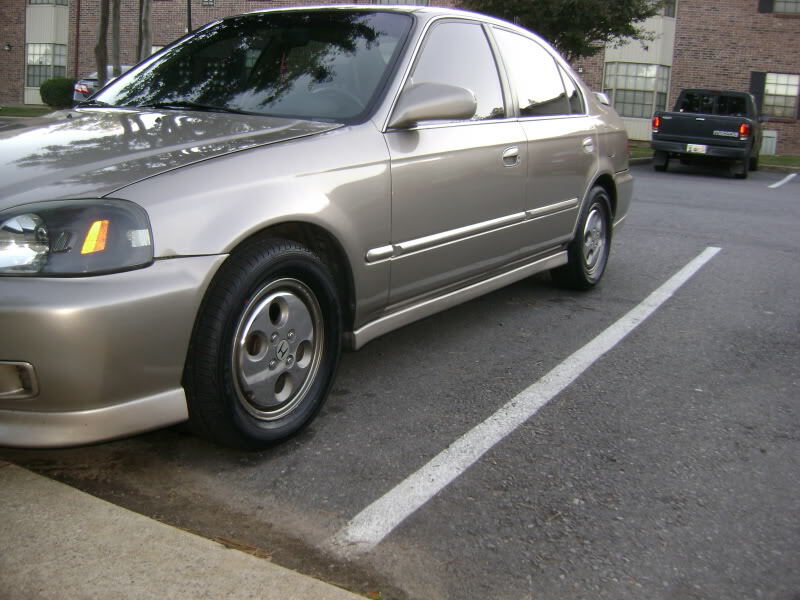 I drive a '97 EX Coupe. 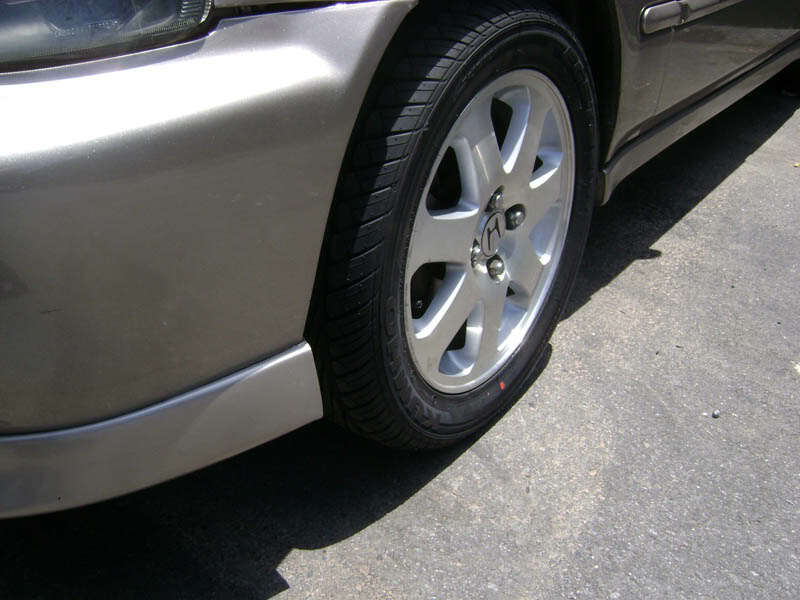 What size tire should I buy, the car being stock ride height? I know popular sizes are 205/50/15, 195/50/15, and 195/55/15. Basically it comes down to 205 or 195, and 50 or 55. I run a 205/50/15 on my Si rims. Love the ride (when my tires aren't worn the hell out). Corners better too. Did you buy the 205 over the 195 for looks or handling? Little of both, I guess. There's a lot of sidewall so it gives it kind of a reverse stretched look. But I liked the tread pattern on the Kumho Ecsta AST's. That's how they look on a 15x6 rim. You can sort of see the sidewall effect I was talking about. That might be eliminated with a 15x6.5 rim. Good stuff on posting the picture. Are you referring to how the tire sticks out further than the rim? 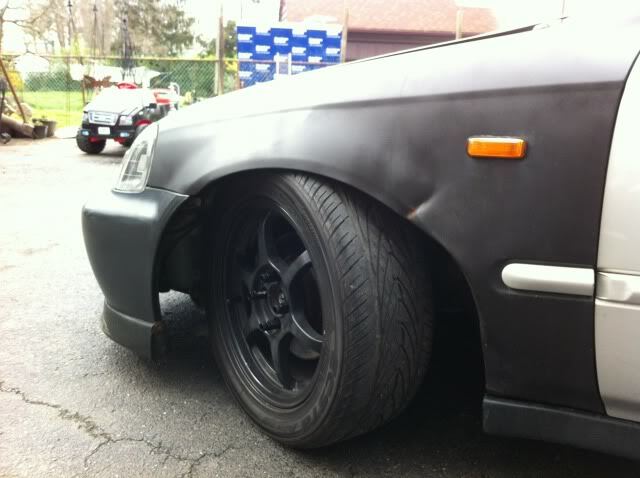 And that's stock ride height I'm guessing.. Right, half the time my front tires look like they're a little low but the air pressure is fine, just looks odd due to the wide tire. 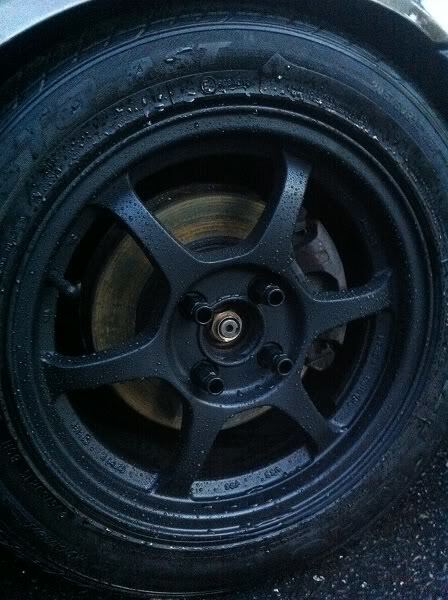 I did the same thing with my old CRX rims. I put a 195 tire on it when a 175 or 185 was recommended. I kinda like the "extra sidewall" look. 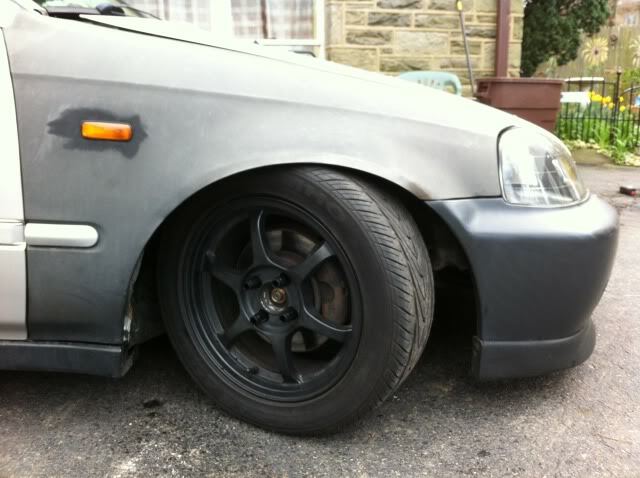 Here are my 205/50/15's Kumho Ecsta ASTs. IIRC they are 15x7 Rota Boosts. Oh yeah, I forgot we had the same tires. Smooth ride, eh? I guess the only question left is... Do the tires rub on the inner wheel well or suspension? Those tires look sick on your cars, therefore I want them lmao. They won't rub until you put a 215 tire on it. If it's stock height, you'll have no problems. Quick Reply: Tire Size w/ 15 in. wheels?